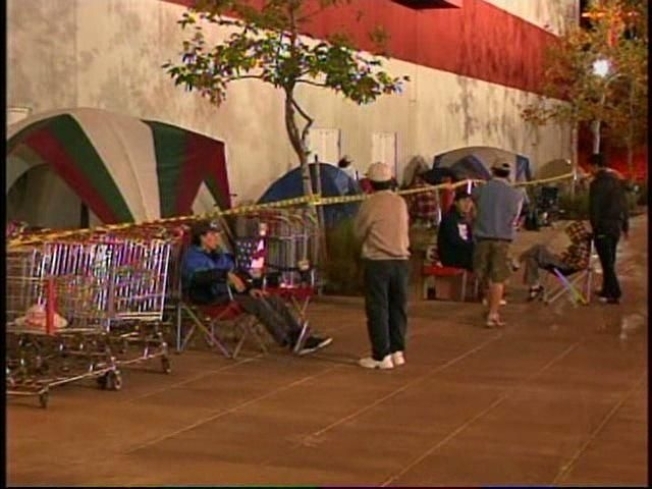 Camping out for Black Friday discounts is just silly, says Drew Magary. At a Best Buy in Springfield, Pa., at midnight, the 50 people in line created an atmosphere part football tailgate and part Department of Motor Vehicle tension. A card table was set up near the end of the line, but the reception on that end was quite frosty, possibly “enhanced” by the consumption of cheap beer. At Best Buy in Rockville, for example, 514 people were waiting in the cold when the doors opened at 5 a.m., including at least one hardy soul who arrived 8 1/2 hours earlier and ate a Thanksgiving meal delivered by sympathetic friends. Thankfully, no trampling deaths have been reported. YET. But this whole Black Friday thing has gotten completely out of control. It’s now accepted by retailers that a certain percentage of the American population is willing to wait in line forever to save 30% on a TV, and they’re exploiting that fact to the hilt. They mark down a small number of big-ticket items as loss leaders, far too few for everyone in line to get one. So you’ll come to the store early in hopes of you’re getting your hands on it. And, if you don’t manage to succeed, well you’re up and in the store already, so you may as well buy some stuff. It’s a hook. Bait. A cheap trick to get you in the store to buy all the crap that ISN’T on sale, because they know you don’t want to have to come back. Look, if you’re willing to sit out in the freezing cold for a shot at some of this stuff, more power to you. The economy is tough, and sometimes you have to go the extra mile to save what you can for you and your family. 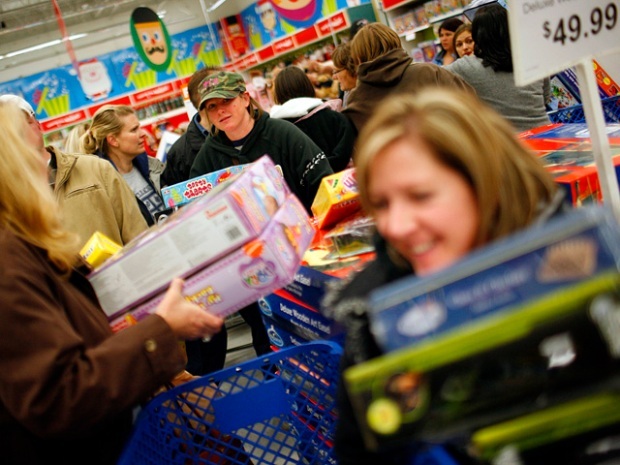 But know that these stores are more than happy to see you wait in line a little bit longer each year, and to whip up such a frenzy over discounts that the people next to you in line will happily elbow you in the face to jockey for position. Maybe more people would be willing to spend money in this crummy economy if the American shopping experience was more enjoyable than urban combat.